If you search Google, you will find that “Frank Cali” (born Francesco Paolo Augusto Cali, in 1965) is the current Boss of the Gambino family, based out of Brooklyn, New York. The happy, friendly personage of Frank Cali lives on via his greetings to his friends on Facebook. He was no member of the Mafia. But he would have laughed at that thought. In the outer Bigfoot field, many know of this other Frank Cali. He has died at 65 years of age. 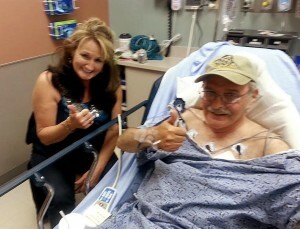 Cali had suffered, at least, eight heart attacks in recent years. In the final days, other things stopped working in his body. 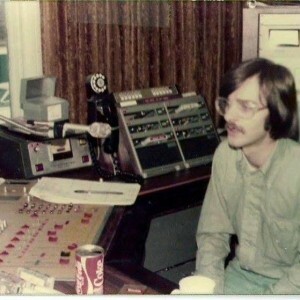 In his younger days, Frank was involved with running his home grown radio stations. Cali lived in Dunmore, Pennsylvania, when he died. He often would mention that he use to live in Washington, District of Columbia. 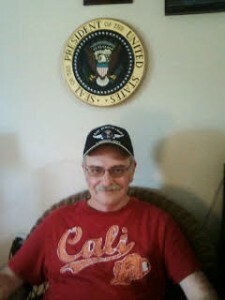 He said he was retired from working for the United States government, having moved from D.C. on June 4, 1994. 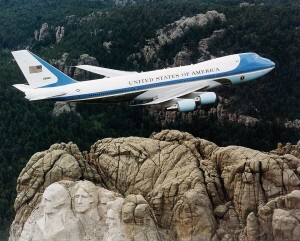 Cali claimed often he worked on Air Force One, and posted this above photograph of the plane as his profile picture on his Facebook page. His stories would put him often in a defensive mode, having to argue that he never worked in the White House (although he would talk of installing something near it), nor that he was employed by the FBI or CIA (although he said he couldn’t talk about what agency he did work for, quite secretly). Frank Cali was a curious believer who sometimes uncritically would jump on Bigfoot bandwagons, and then just as quickly leap off. He had a large online presence in 2013-2014, and he left much to ponder about his stances. 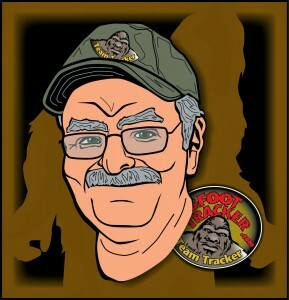 He supported reports and videos that were questionable, and then showed up as a member of Rick Dyer’s Bigfoot Tracker’s Team Trackers. Cali backed the Dyer cause for a time, even being appointed one of the groups’ many “here today, gone tomorrow” Vice Presidents. Frank Cali eventually had a falling out with the group, claiming that Dyer’s traveling Bigfoot exhibit (the Texas one, not the earlier Georgia fake) was an alleged hoax, which Cali could not bear to look at. 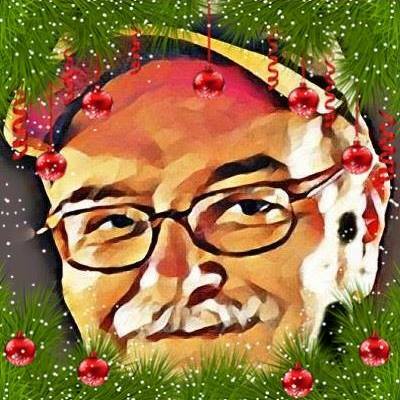 Cali was then being called “con man” in Dyer’s online rants. It is all over the net. Look it up, if you wish. But you know what you’ll find. Cali made a mistake falling in with Dyer, and eventually knew it. Cali’s health reports were often not believed by a few online, and when Frank started mentioning his heart troubles in 2013, a few people refused to consider them factual. As it turns out, Frank Cali did pass away just after the end of his 64th year, about five years after his challenges began. In the meantime, post-Bigfoot Tracker, Frank Cali was a chatty, friendly guy to know via Facebook. 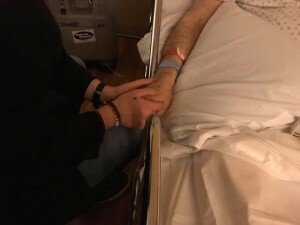 His online connections were of some joy to him, and one friend wrote me this morning, “I’m glad he isn’t in pain. That’s the only good thing.” Cali speaks to these people in his final words (see below). Frank Cali was a character, a harmless one, who loved to tell stories. 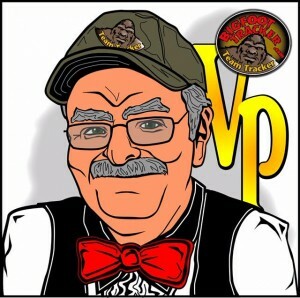 Not sure he advanced the science of Bigfoot studies any, but he certainly was one of the raw unconscious comedians and entertainers who make the journey around the Bigfoot community amusing and intriguing. His son Keaton Cali posted this last photo (above) of Frank. Facebook had this other earlier one (below).